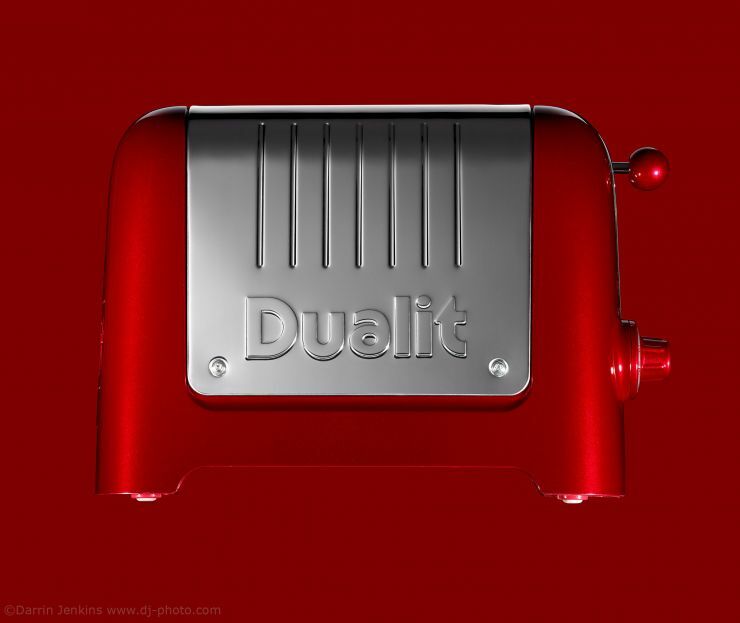 This product photograph of a red Dualit toaster was combined with a red background to give the image more impact. Much more impact can be added to the photography by spending a little creative time beforehand to work out the best way to photograph the subject, maybe a few sketches, studying the way the product reflects and absorbs light and any interesting and important features. This photo of the toaster required three separately lit exposures and post production in Photoshop using various adjustment layers and paths.